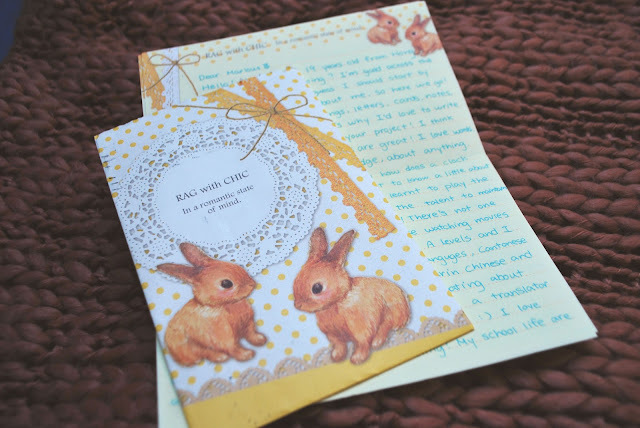 Last Tuesday I received this super cute snailmail from Sally, all the way from China! I have never gotten mail from China before so it was pretty exciting. 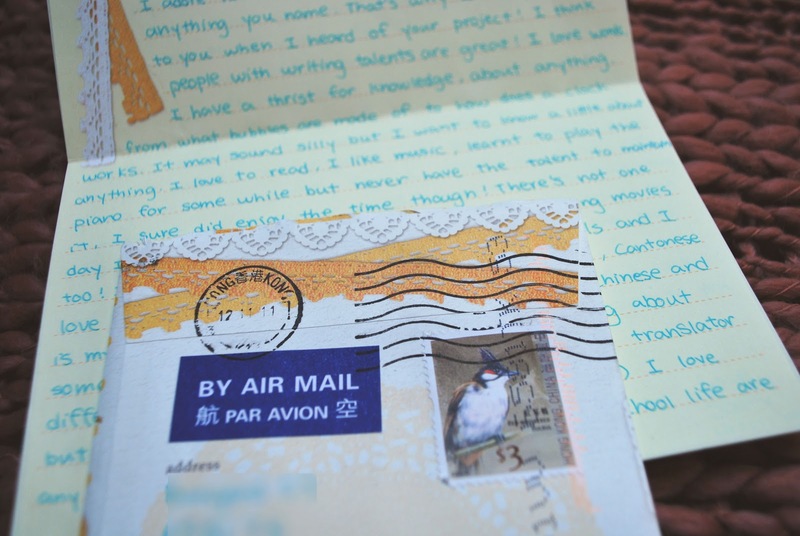 Look at that beautiful Hongkong post stamp! Thank you Sally, my snailmail to you is on its way.